Once in a while, about every 3-4 years of years, your website should be updated ensuring it has a fresh modern look; utilizing the latest and greatest web design methods. A website which looks outdated can damage your credibility & ultimately cost you new customers. A redesign starts by planning what you want create from your existing website into the next finished upgrade. A good exercise is to list what you like about other websites that you have encountered and bookmarked. Consider how you can integrate the features that you like into your own website. While perusing through other websites you will also get a better feel for what your site already does well and where it doesn’t shine so well. Before you begin, you have to work out what you want your website to do exactly. The goals should be realistic and specific. Ask yourself: who and what is my website for ? · A means to communicate with customers? · To build brand awareness? · Is it’s main function to be a sales funnel? Every website has a slightly different purpose. Define what your website’s purpose is precisely. At the start of your project you should create time-line of of what needs to be done; and when. If you have a project team of other people you should also include who is responsible for each part. Getting your visitor(s) to trust your brand should be the overall goal. Mostly your website to be considered credible & trustworthy is to continuously update it with original high-quality content. Original content helps customer prospects find you in search engines; and in turn establishes you as a thought leader in your market segment. Also keep in mind that you don’t want your visitors to see you as just selling something. The first goal should be to get your visitors to trust your website as an authority. The other avenue to build trust with your customers is to create and maintain an active social media presence. Today’s consumers expect some communication interactivity before to forking over their money. With openly communicating with customers through Twitter, FB, Instagram, etc. then you paint a human face on your business. This also creates the perception that you are interested in hearing what your customers have to say. Step 3 – Examine current analytics/metrics to better identify which parts of your website is worth keeping and what needs to be reworked. 4GoodHosting’s websites, through cPanel, have analytics applications installed, but it is a skill and passion to know how to leverage analytic data to increase traffic and sales. While analyzing matters, identify on which pages are attracting the most hits – and which ones are keeping visitors around for the longest amount of time. Look into what is making those pages more successful than others. Also focus on where your traffic is coming from and which of your marketing strategies have been the most successful in the past. This knowledge will help you further experiment to see what creates the best results. 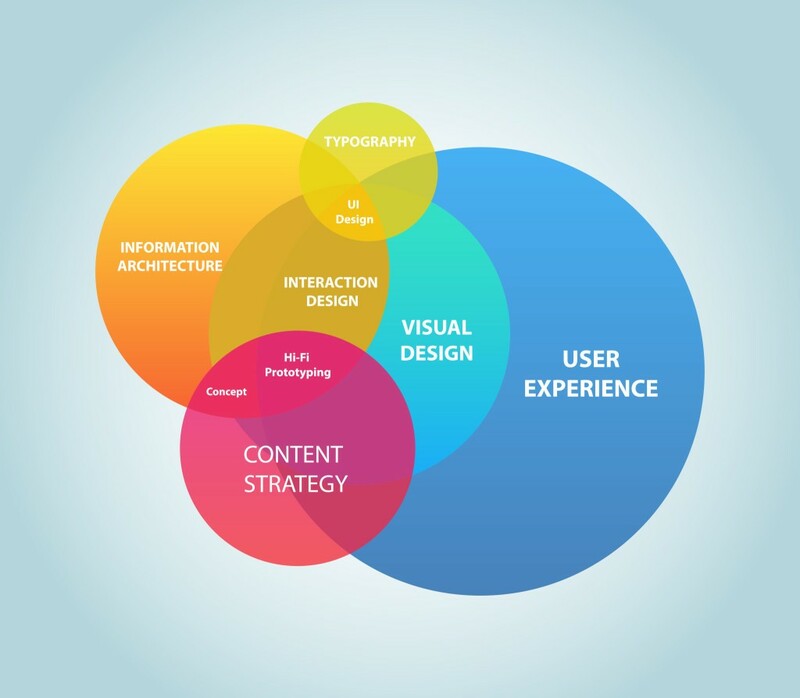 What you learn should ultimately influence your redesign. Is your website becoming much more popular? If you are searching for reliable yet inexpensive, and fast loading website hosting, “shared web hosting” or “V.P.S.” (Virtual Private Server hosting) service are two good, but not identical, options. The most common choice, to do it at rock bottom costs, shared hosting, but for many businesses the limitations of shared hosting eventually becomes outgrown. Migrating from a shared server plan to a VPS (or an entirely “Dedicated” or “Standalone Server) is typically the next step. 4GoodHosintg provides free upgrade migration services; to solve any nervousness when you may decide to upgrade your website to its own server. For low traffic websites shared hosting is ideal. If you are noticing your traffic increase consistently, or if you are offering high-bandwidth content such as video(s); you may need to upgrade to a VPS (Virtual Private Server) for dedicated bandwidth, and for a lower-latency (faster) less congested network connections. When your business/website grows in size: your email, disk space, CPU & RAM (Random access memory) requirements will also eventually surpass your existing shared hosting plan. 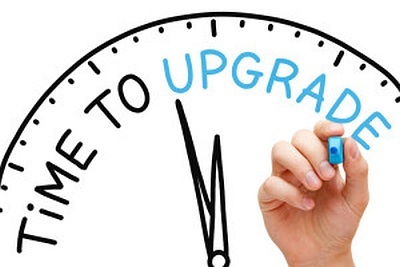 The growth of your business will often dictate the need for upgrades. Perhaps you would feel best serving your website by renting your own private server (standalone web server with it’s own dual power supply). However, first consider the differences between VPS and Dedicated servers – to find out which one is best for your application; including cost, as VPS are less expensive than leasing dedicated equipment in our data center. In either case, 4GoodHosting offers numerous advantages: such as 24/7 customer support, “RAID” hard drive and SSD redundancy, dual-coast back-ups, disaster recovery servers, plus the flexibility of upgrading or downgrading your server hosting package whenever you need with free migrations. Local business’ (with a website) should apply effort to create a particular kind of content that not only provides value to your readers, but also performs well in the search engines. This can be tricky as you need to appeal to two different things at the same time. Logically, running a local business implies that choices for content topics will more limited compared to have a global scope, so you will need to be extra creative. Many local business owners end up boring visitors with content that doesn’t provide much useful information, or cause them to feel inspired. In this post we show you how you can produce readable (and useful) localized content which will simultaneously help your website rank higher. Have you already created much content for your website? Here are some useful insights to spruce this up. First, one of the quickest methods to see what content is performing best – is to use a tool from a website called Buzzsumo (link). The free version doesn’t give you a complete breakdown of every page or post. However, it will display to you the top performing content areas on your website. This way you can tell what content or presentation is getting higher content rankings on Google compared to other posts, then consider creating more variations on similar themes in order to attract more traffic. Try out the Google Keyword Planner by typing in a couple of local keyword variations that you think local community members will be searching for. Of course, localized keywords will produce a search volume that will be much smaller than larger-scope keywords. 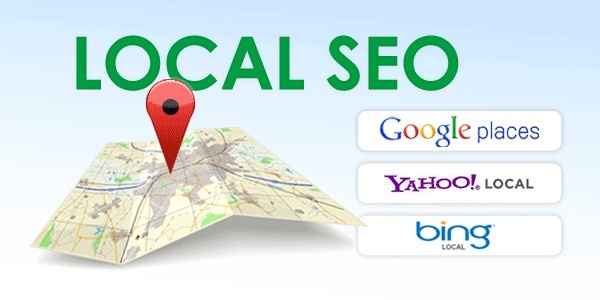 The idea is to find local keywords that have a decent search volume. With consistent content creation tailored for those keywords, your website will begin to rank higher associations. Also by using the Keyword Planner, you are validating that there is already relevant existing search traffic which is a measure of demand. If there isn’t much of a demand for your particular kind of service, you will have to then generate demand with some other marketing. So once you have a list of good keyword choices, you can then combine them into keyword groups targeted at specific sub-topics. This will help you create a more comprehensive array and / or position more in-depth content. Since about the beginning of 2016 a new simplifying trend in website design is coaxing website managers and businesses to rethink their web presence strategy. A significant number of websites have begun redesign sites that have visual depth and 3d-elements to flattened out plainer versions which project more “flat” “single-surface” experiences. “Flat design” is becoming one of the hottest trends in 2016 web design. There is an age-old theory that simply states that history repeats itself, – fashion trends, hairstyles, marketing campaigns. Flat design isn’t new. However in 2016 taken on a fresh modern flair; which appears to be resonating with “millennials” who are most tethered to their handheld computers. Using smartphones by default demands bigger text and larger images; which happen to be key elements in flat site design. The advent of responsive design considerations for mobile screen necessitated a need for easily scrollable 2-dimensional designs which depend more on unique colors & shapes rather than realistic-looking 3d graphics and animated GIFs; popular on “skeuomorphic“ designs. Efficient responsive design, with faster page load time along with with a sleek appearance, all which is great on on mobile devices, is the main advantage to flat design for websites. What is a flat website designs? And what isn’t. 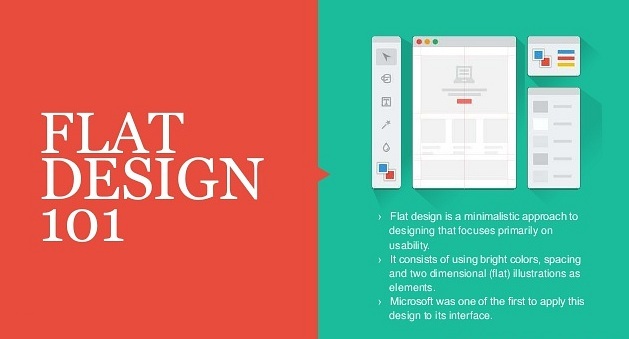 Flat designers take a minimalistic approach that values function over most everything, except the content itself. Today mobile-active consumers today are looking for responsive brands, mobile friendly and functional. When online forms social share buttons first appeared, people were unfamiliar with these design elements and had to guided through the process. One example is fields forms. Before people needed to be helped by stating “Type your e-mail address here” or “Type First name”. Nowadays, the average person knows more intuitively about how to get around a web page or site; therefore the simplicity of flat design are became more popular. With flat design there is minimal uses of familiar stylistic effects, Look for popular brands on your mobile device using color combinations and unique shapes to deliver a simpler and more streamlined web design; concentrated with value-added content. After you have secured hosting and installed WordPress (or another CMS), it is time to pick out a theme. Figuring out which theme is best is definitely overwhelming at first because there are about 40,000, free and fee, templates and themes to choose from. In order to help you get through the process of theme selection, the most important things to consider while choosing a theme are listed below. If you utilize these tips, you will have an easier time getting started in the right direction. One of the great things about themes is that it gives you a place to start and you don’t have to spend days or weeks of work to make it all look good. Another more expensive option is to hire a talented designer to create a personalized blog theme for you, but it’s also great to have some customizable options. This details include being able to alter the general color of your theme, being able to change the header image, and perhaps also the ability to tailor the theme code, that is – if you know what you are doing. The more options you have for customization, the better. A very important aspect of theme selection to consider is to make sure it provides for high readability. The main point of getting visitors to your website or blog is for them, not just to see colors and fancy graphics, but to actually consume and be influenced by your content. So you should choose a theme that utilizes a font which is easy on the eyes and consistent. Even if you think a particular font is cute – if it makes the word is hard to read; then skip that theme if you are unable to easily customize the overall font. * The important of adequate amounts of “whitespace”. Try to find a theme that allows plenty of blank whitespace. Pictures, graphics, text and other design elements can go a long way – there also should plenty of whitespace, in between blocks, in order to give your visitor’s eyes a break. * Line spacing. Another easy way to make your blog readable is to use line spacing to your advantage; use double spacing between your paragraphs rather than just indents. * Font selection: Pick a theme with only one or two fonts that are easy to read. Arial, Courier, Verdana, and Times New Roman are always safe fonts to use.